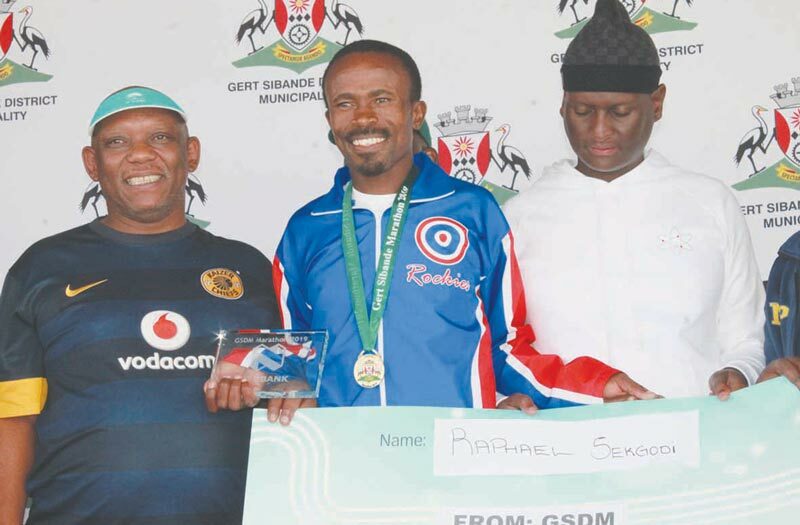 A record number of 998 athletes took part in the sixth annual Gert Sibande District Municipality Marathon in Ermelo on Saturday, 30 March 2019. 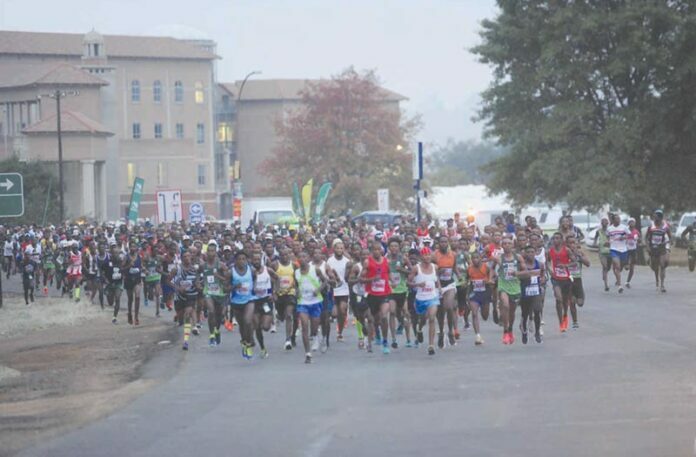 The race, which is dubbed the “Gathering of Runners”, and is a Comrades Marathon qualifier, grew with an impressive number of 185 more athletes than the previous year. The Executive Mayor, Councillor Muzi Chirwa, kick-started the race, which included the 42.2 km, 21.1 km and 10 km by firing the start gun at the GSDM offices. Before setting the runners on the gruelling course on the R39, Councillor Chirwa said all the participants were winners and called on them to go out in their numbers and take part in the upcoming general elections on 8 May. This year’s race was no exception to the previous races as it continued to attract top runners from all over South Africa and the neighbouring countries like Lesotho, Zimbabwe, Swaziland and Botswana just to name a few. 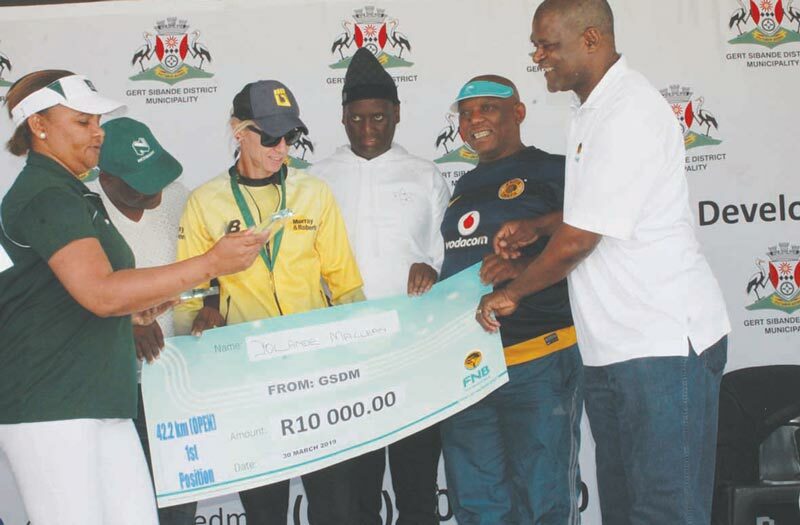 he Municipal Manager, Mr CA Habile, led a team of GSDM officials and among them was Mpume Mkola who is set to compete in the upcoming Comrades Marathon this year.